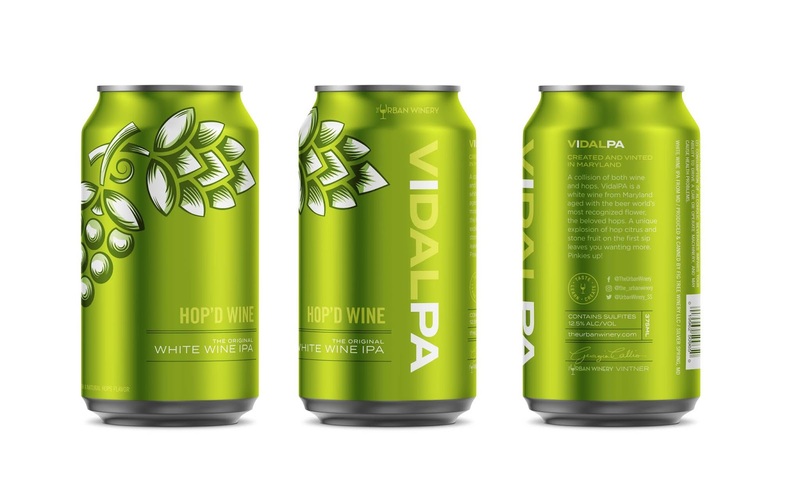 The Urban Winery in Silver Spring, MD approached Octavo Designs to develop a packaging design as innovative as their latest creation, the VIDALPA (pronounced: Vidal P. A.) series, a white wine IPA. To give us the best of both worlds, this Maryland white wine is aged with the beer world’s most recognized flower, hops. The Octavo Designs team set out to craft a clean, modern and fun packaging design that communicates this unique concept. How could we not design something fun for a product like this? 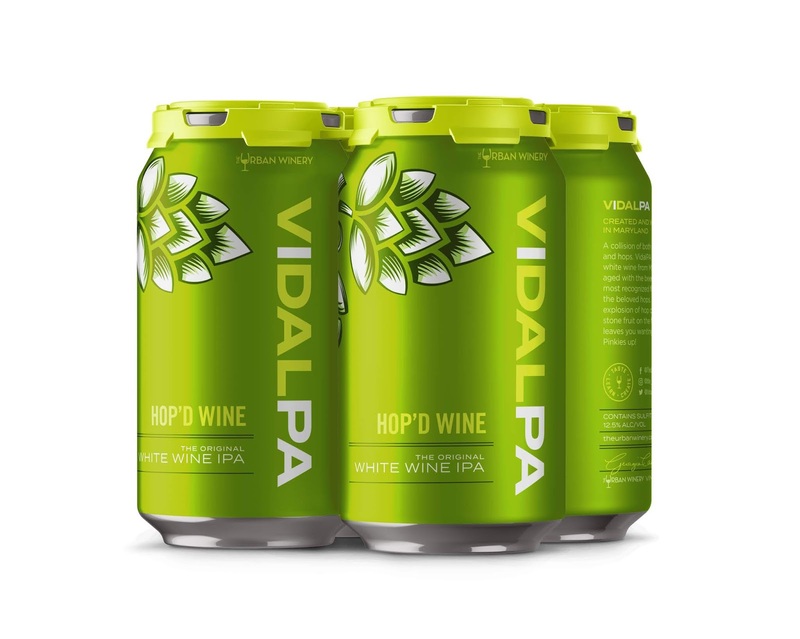 To highlight the unique hybridity of the VIDALPA we developed a custom illustration of entwined grapes and hops. 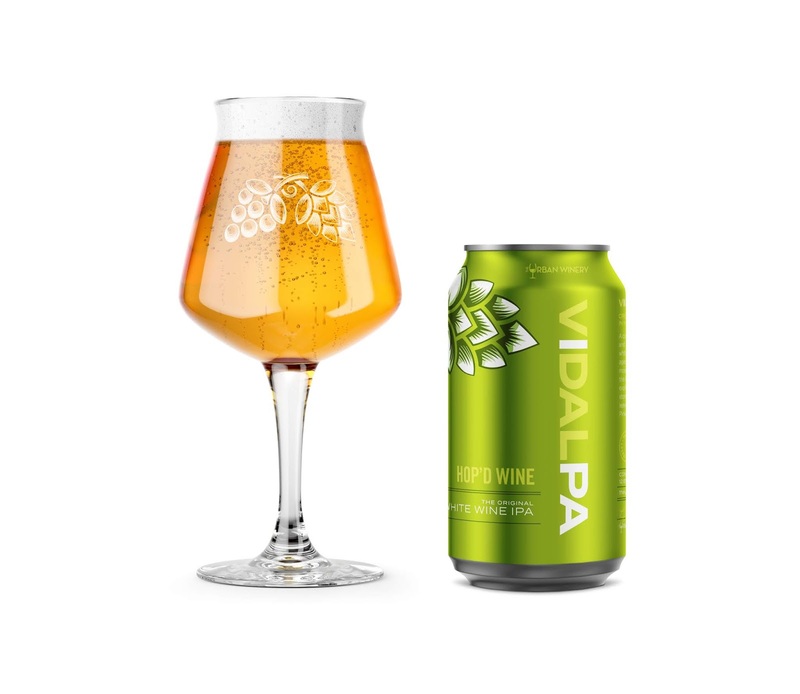 Through the use of color we feature the product’s name, a fusion of Vidal and IPA, allowing the “IPA” to both stands out, yet integrate seamlessly. Carefully selected Pantone metallic and spot colors were selected for each can in the series. 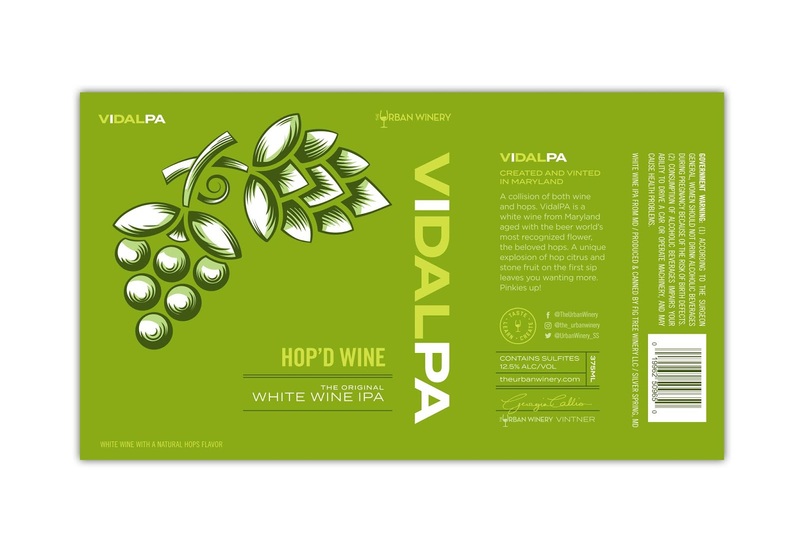 Hop’d Wine, the first in the series to be released, shines in bright green, a nod to the white wine grape. When you’re holding one of these distinctive cans, you’ll know you’re sipping something special and it’s sure to create some curiosity! It was a treat to create something this special for The Urban Winery who specialize in great wines to share among friends and family. This packaging design was developed with just that in mind, to satisfy both the traditional wine-lover while piquing the interest of new enthusiasts. 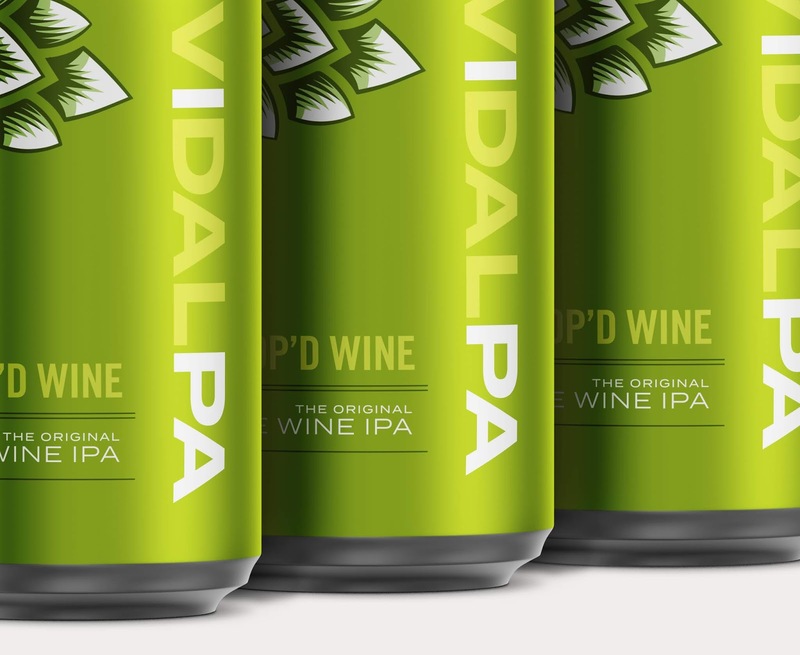 A bold and exciting product meant to attract both wine and IPA lovers needs a bold face to go with it.